Ranveer Singh’s upcoming sports drama, ’83, is in the limelight for all the right reasons. Time and again, the makers are roping in actors to make the portrayal as authentic as possible. In fact, the legend himself, Kapil Dev, is in close association with the team and helping them with the prep. Now, another addition to the giant cast is West Indies player Malcolm Marshall’s son, Mali, who will be playing his late father. Mali, the son of the late West Indies fast bowler, Marshall, will be seen portraying the role of his late father. A source close to leading daily Mumbai Mirror revealed the same as Mali is a fast bowler and a middle-order batsman like his father and suited the part perfectly.” Apparently, this is being done to keep the film realistic. Director Kabir Khan reportedly is also in talks with sons of other famous West Indian players. ’83: REALISTIC AF! 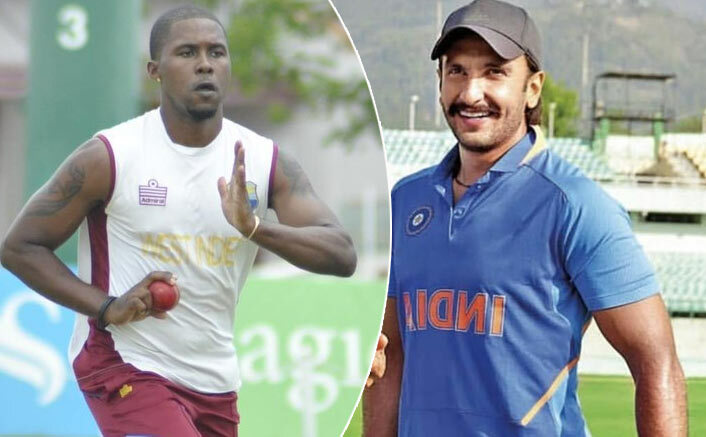 Makers Of Ranveer Singh Starrer Ropes In Late West Indies Cricketer’s Son To Play His Role!Earlier, former cricketer Sandeep Patil’s son Chirag Patil was also signed in order to play his part. ’83 follows how, under captain Kapil Dev, the Indian cricket team defeated West Indies in the final of the World Cup in 1983. It tracks the coming-of-age of not just a cricketing team but of a young nation in the eyes of the world. Presented by Reliance Entertainment, “’83” will see Ranveer playing iconic cricketer Kapil Dev. The post ’83: REALISTIC AF! Makers Of Ranveer Singh Starrer Ropes In Late West Indies Cricketer’s Son To Play His Role! appeared first on Koimoi.